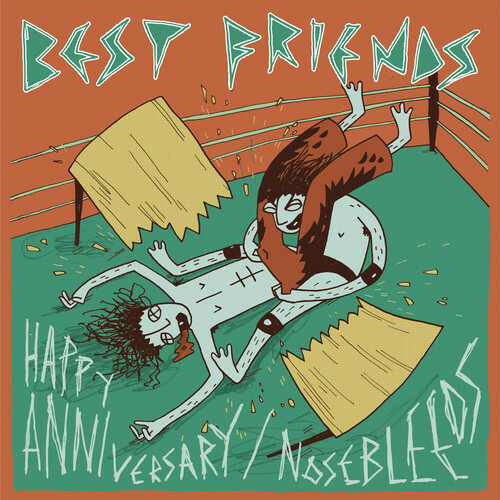 Sheffield's Best Friends have now unveiled "Nosebleeds", the other track to come from their upcoming double A-side with "Happy Anniversary" unveiled a couple weeks ago. "Nosebleeds", although as jangly as ever, caters for those with slightly more delicate ears and it's probably the more likely of the pairing to earworm its way into your head and stay there for a few weeks. The band recently tore the roof off Beacons Festival's You Need To Hear This stage, showing exactly what they're made of; up there as one of the best live performances we've seen this year.